In this article, we explain the basic principles of how things work, and we look at the sticking point in all Continuing Healthcare funding assessments. There is still a lot of confusion about paying for care – when do you have to pay, what funding is available, when does it apply, how do you get it, etc. We often hear from people who tell us that they’ve ‘had an assessment’ and they now understand that they’ll have to pay for care. At this point the person in question usually doesn’t realise that such an assessment should not have taken place. This lack of knowledge is not their fault; hundreds of families report that the health and social care authorities often omit to explain the actual criteria for care funding – and that not all care is the same. In addition, media articles – and also sometimes well-meaning friends – often promote the notion that you have to be means tested and pay for care if you have savings or a house. And yet this is not true. If you know someone who’s about to start paying for care – or who is already paying – please share this article with them. 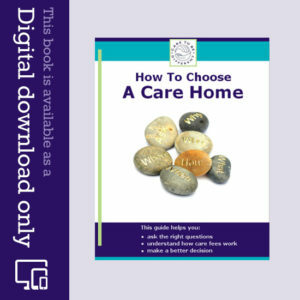 Local authorities/councils provide social care which which is means tested. The NHS provides healthcare/nursing care, which is not means tested. It’s the difference between these two things that is at the heart of care funding assessments – and it is also at the root of almost all disputes about NHS Continuing Healthcare funding. This does not mean a financial assessment or a means test. Instead it’s an assessment of your actual care needs. At this point no one should ask you about your money or your house. Which side of that local authority or NHS divide do your needs fall into? If it’s the social care side, you are means tested. (Alternatively, you can simply pay – you don’t have to undergo a financial assessment). However, if your care needs are primarily on the NHS side of that divide, you should not be means tested, i.e. there should be no financial assessment. If your care needs are primarily on the NHS side of the divide, the NHS has a legal duty to pay for your care – and this covers all your assessed care needs PLUS the costs of living in a care home. You should not be asked to contribute to this. This funding is called NHS Continuing Healthcare. But if you have some healthcare/nursing care needs and also some social care needs, how do you know which side you’re on? It’s simple: It’s through an assessment for this NHS Continuing Healthcare funding. Local authorities must refer you for a Continuing Healthcare assessment if there is even a small indication you could be eligible for this. Remember, this is not a means test or financial assessment; it’s an assessment for full NHS funding. Your money has nothing to do with it – and you should not be asked anything about your savings, assets, pension, house or any other money you may have. 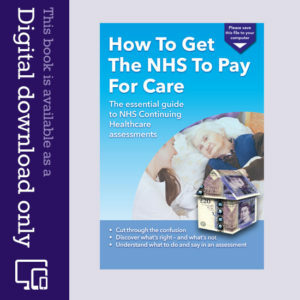 In other words, if your care needs are on the NHS side of the divide, it is illegal for a local authority to take responsibility for care; in such situations, if a local authority tells you your needs are just social care needs, and they do a financial assessment, they are acting illegally. Local authorities can in some situations provide a small degree of nursing care but it’s essential for you to have an assessment for NHS Continuing Healthcare before any decision is made about who will be providing and paying for that care. The Coughlan case is an important legal case that’s worth reading about (see below). It reinforces the principles outlined here – and it’s still just as valid today as it was in 1999 when Pamela Coughlan won her case at the Court of Appeal. So what’s a social care need (local authority) and what’s a healthcare need (NHS)? If you’re told in an NHS Continuing Healthcare assessment that your needs are just social care needs, and that you will be means tested, you may want to refer the assessor(s) to the above descriptions. If you’re eligible for NHS Continuing Healthcare, the NHS must cover the cost of not only your healthcare and nursing care needs but also your social care needs. It’s a full package. It’s about the degree of needs that you have, not their cause or any specific diagnosis; instead, it’s about a full picture of your day-to-day care needs. If your care needs are on the NHS side of the divide, and you receive NHS Continuing Healthcare funding, be alert for any attempts to get you to pay a contribution. You should not be asked to do this. Just because you maybe older and just because you may be living in a care home or other care environment (including your own home), doesn’t change your right to NHS care. After all, if you go to A&E or to see your GP, they don’t generally debate with you how much they’ll do and what you might have to pay them to finish the job. It’s no different when you need care. If your needs are of such a level that you require NHS care, then you should receive NHS funding to pay for all your assessed care needs. It’s the divide between local authority and NHS care that is at the centre of NHS Continuing Healthcare assessments and decisions. If you’re having a Continuing Healthcare assessment, make sure you’ve read the eligibility criteria and that you’ve pulled together as much information as you can to support your case for this funding – and to show that your care needs are on the NHS side of that divide. What’s the difference between and social care need and a healthcare need? Where can you receive NHS Continuing Healthcare funding? Care home top up fees – do you really have to pay? We completed the chc assessment for dad and he scored 2 severes and many moderate/high, yet he was still denied chc funding. We are about to appeal this decision… are we correct in thinking that as he scored 2 severes they were wrong to deny funding? Thanks. My dad is going to be assessed for NHS Continuing Healthcare (CHC) funding. I notice that his care home contract says that if a contribution is made towards fees such as continuing healthcare (it clearly says this) then we are responsible for the shortfall. Is this actually enforceable given the information on this page? 2. Care home manger on MDT with whom we have several serious professional Care Quality Commission (CQC) and Safeguarding complaints with (so no conflict of interest there). 3. Local Authority (LA) social worker from previous deadlocked MDT which LA is currently taking to formal dispute process with the CCG (only the second time in the LA history its happened the other one was after we told them they had to have a process. Interestingly the Director Adult Soc Care LA sits on CCG board. So we arrive, Nurse Assessor (NA) meets mother in law (MIL), lasts exactly 3 minutes as she cannot understand MIL at all. MDT meet start with intros. We ask the team to explain what training if any they have had and what they understand of the benchmark cases. Reply from 3 of the 5 is none & no idea and they go onto explain they are not there to input into areas outside their area (Speech & Language Therapy (SALT) and diet) and certainly would not be making a recommendation or voting on one or using professional judgement on domain scores. They explain only the Nurse assessor could possibly do that. Spent 10 mins trying to explain the National Framework guidance, Dept of Health training docs and NHS guide for practitioners etc etc, but to no avail. NA suggested we adjourn for 10 minutes to consider our respective positions. On returning she ploughed straight on and was genuinely shocked on being told that on having considered our position our view was the MDT was not legally competent. Followed by hissy fit when she demanded to know who our colleague was – family friend invited by MIL, explained under the Framework etc MIL could choose her representatives/advocates, but she was adamant that was not the case. Over the past few years the banks have been found guilty of illegally taking money through miss selling PPI and have had to give the money back. As a result of this there are now many companies who will take on your case and for a fee will fight your case and get a refund. Are there no compainies doing this for NHS and CHC’s? Colin – yes, there are quite a few claims companies doing this in the field of Continuing Healthcare (CHC). They are usually law firms or backed by law firms. You can find them by following the advice here: http://caretobedifferent.co.uk/choose-continuing-healthcare-advisor/ and through an internet search using phrases such as ‘continuing healthcare law firms’ or similar search terms. It may be worth establishing why the LA said it was paid when you now know it was twice refused. There is an Ombudsman case where relatives relied on LA saying they’d apply for CHC but didn’t. Relatives complained to LA and recovered fees paid as a result of their failure to act and safeguard. Might be helpful to you? Further to the Funded Nursing contribution queries, what happens if you find out after a retrospective CHC that, despite your mother being in a nursing home and receiving intensive registered nursing, no FNC was ever paid to the home??? She had 2 CHC assessments in 2008 and 2010, both denied funding. My mother was in the home from 2008-2013. Complaint to both the LA and CCG as this is clearly illegal ??? Also the LA told us it was being paid?? although we did ask why this was not shown on the accounts. Judy – Funded Nursing Care (FNC) is, as you know, a payment that is made by the CCG/NHS directly to the nursing home. Whether or not your mother would have benefitted from FNC depends in part on how her care home contract was written: If the care fees quoted were exclusive of any FNC payment, then the care home could argue that FNC payments were to cover their own additional nursing care, and if they didn’t receive them they should take it up with the CCG. If the care home contract quoted the care fees as inclusive of the FNC payment, however, then any FNC payment made to the care home should have been deducted from your mother’s fees, and you certainly have grounds for complaint. If you have anything in writing containing the comment from the local authority (LA) that FNC was being paid, that may help you. Hi. My Mum has myeloma, all her spine has crumbled and she is on morphine for the pain. She is 86. She was living at home with my Dad , who is 88, as her main carer. Her short term memory was not good and she went round in circles at times, but could hold a normal conversation, was mentally competent and even did her emails to relatives on her computer. 8 weeks ago my Dad was taken into hospital suddenly and she had to go into respite care. She caught pneumonia and was taken into hospital 5 weeks ago. She just about made it through, and was delirious at the time but never came out of it. She was given a brain scan and now has been diagnosed with severe vascular dementia. She varies between rambling, shouting and swearing at my Dad and nurses, taking her clothes off to being completely unresponsive and not being able to wake her. Her consultant was really shocked at such a rapid decline. He said 3 weeks ago, “she should get NHS Continuing Care, but that doesn’t mean she will get it”. We have an assessment meeting on Friday at the hospital. After reading stories about being turned down, is there anything special we might say that might sway them ? Does this count as being in rapid terminal decline ? Should it be Fast tracked ? I am dreading it. We have already been asked if she is self funding by her social worker. I said she shouldn’t be asking at this stage and she said ” well someone has to pay for it” in a very narked tone. And no, she won’t be self funding as my Dad still lives in the house. We have a financial assessment set for Friday too, which was organised re the respite care, some time ago. The form for the financial assessment requires all my Dads details too, but I’m sure I read here that he is not obliged to declare it. Is that correct ? Sorry for so many questions but I am finding everything very difficult , especially as my Dad is not coping with this at all well either. Thanks. Thanks for that link Angela. It’s given me huge insight into why the Gp is operating as they do. I’ve noticed they ignored the reported and documented significant cognitive impairments, (particularly regarding decision making and less about memory), and until the issue of very limited decision making capacity was addressed by the psych. they continued to seek opinion and “consent” for treatment there was no prospect of patient recognising was needed. Every case is different, but in my experience there is a tendency by care staff and GPS to assume all dementia is Alzheimers. I think you’re right, Jenny – and very often it seems that families are having to educate care staff and medics about specific conditions. The standard of evidence required in an assessment doesn’t need to be of court standard – just appropriate – so your well presented observations, and those of care staff should be useful. It may well be worth collecting examples of forgetfulness, not recognising you or objects, not being able to follow instructions and ask for help, or of being disoriented as to place and time etc etc and using these in the Cognitive domain. Use these in addition to the previous acknowledgement of memory issues and stress that is the nature of Dementia – on going decline – which makes her condition unpredictable. In the Communication domain link these difficulties to demonstrate the practical implications in terms of danger to herself and others of memory difficulties, and thus the complexity and intensity of the overall picture and need. Look for signs of distress in not being able to communicate or recall, and in turn, link these observations and examples into the Psychological and Emotional needs and possibly Behaviour domains. We have grasped the difference between mental capacity and cognitive ability. In our case we are trying to find out if there is a fair and objective way to test (preferably ourselves rather than through a clinician) the extent to which a dementia sufferer who now rarely speaks has (or in our case continues to have) marked short and/or long term memory issues, which is part of the cognition domain descriptions in the NHS’s decision support tool for NHS CHC. Thanks Jenny for your helpful reply. No, our Loved One has never had a psychiatric assessment with a consultant. Months ago our LO was still communicating verbally and it was easy to consider and test whether there were memory issues (there were, and that was acknowledged in our Loved One’s last assessment for CHC). If the financial state of the NHS in England is as bad as it is currently being painted in the newspapers, will the CCG within which our LO resides (which, we have been told, is one of the most notorious in terms of its unwillingness to grant CHC to patients who are eligible) be willing to spend the money on such a psychiattic assessment? Even if they are, how can we be confident that the result of any test commissioned by the CCG would be objective and fair? I was also hoping there might still be an objective way that relatives could themselves make an assessment where verbal communication has diminished. Can anyone suggest how to test for short and long term memory issues in a Loved One whose dementia has progressed to such an extent that they now rarely communicate verbally? Has your relative been recently assessed by a psychiatric consultant? We found that requesting an urgent consultation because of issues surrounding effective communication of consent did the trick. Point out that medical staff and carers intervening without effectively assessed and clear consent are assaulting a patient, and so it is in their interest to get a clear assessment on memory, capacity and ability to communicate this. A bedside assessment on whether they appear to understand and retain information “in the moment” – especially if speech is limited is not enough. Neither is a Mini Mental State exam administered by a psych nurse without any consideration to the communication difficulties. If you get a statement on capacity and you have POA for health and welfare you should be consulted to make decisions in their best interests in the areas on which they lack capacity. I have written before,but just to update previous letter, on March 10 I was informed the Quality Assurance Committee required further assessments to consider my husbands eligibility for re I instating his funding even though he had scored 2 Severes and a number of highs on the decision support tool assesment, and I was still required to carry on paying his fees. On March 25th I was called to the care home to say my husband had a throat infection and he was very ill I finally managed to have him transferred to the hospital, the hospital informed myself and Son that my husband was dying and his functions and organs had been shutting down for over 4 weeks.this was within 10 days of his funding being withdrawn, He died on the 2nd of April. I rang the Clinical Commission Group to try and get some explanation to all of this, and was cleverly told to go to an appeal and the phone put down on me. I have since now been told I cannot appeal as it never went to the committee for a decision. So where do I go from here as I intend to fight this. I’m so sad to read your comment, Jacqueline. I imagine it’s such a difficult time – and compounded by the appalling attitudes you’ve been facing from people within the CCG. Contact NHS England and highlight the appalling behaviour of the CCG and demand that NHS England intervenes. You can ask for an Independent Review Panel hearing. You could also write to the local authority (Head of Adult Care) and suggest to him/her that they have acted illegally in effectively taking responsibility for care that was beyond their legal remit. Thank you so very much for your reply, Angela. I have already informed my Solicitor what occurred. This will be another situation to deal with. We have got stages to legally go through. I am currently applying through the Court of Protection for Deputyship; my mother has not done a Will and it is quite unreal what we as genuine families have to go through. The whole business needs sorting out from grass roots. I feel I could say so much on your comments page but dare not at this moment in time. Was this breaking Guidelines? Was this illegal? I am afraid we, as a family, were not familiar with NHS Continuing Healthcare (CHC) funding etc. I only came across this knowledge approximately 8 months ago. In fact, the Care Home my mother is in never suggested anything to me nor my father. It is all very secretive as I suppose the powers that are believe knowledge could be dangerous and cost £££’s. If CHC is granted does the Care Home lose their FNC.? Margaret – yes, asking questions about a person’s money and assets before an assessment of care needs is wholly unacceptable and breaches the Care Act and the care funding guidelines. If a person is given Continuing Healthcare funding, any existing Funded Nursing Care (FNC) payment will be replaced by a larger payment to the care home to cover all care fees. What sickens me about all this is the fact that many of the people involved fought for this country and voted for the NHS to be formed. I sometimes wish I was a time traveller so that I could tell my father, when he was fighting the enemy in Singapore Harbour, dad don’t bother:- when YOU need your country, they are going to shaft you! It’s not a case of there being no money available; It’s a case of NO MONEY BEING ALLOCATED. Big big difference! There is indeed a big difference, Colin. My stepmother has been in a care home for 3 years, she is now in the latter stages of vascular dementia. For the past year I have asked the Care Home to complete an assessment to see if she is eligible for full nhs Continuing Care. They said this was too time consuming particularly as she would not pass the criteria. Several of their reasons I later found were not true. Eventually I said I wanted an assessment to be carried out in spite of the fact they said she would not qualify for the next stage. They agreed and said they would send this to me for approval, and to check that I agreed with their ‘scores’ before submitting it. The assessment form was confusing and I contacted a Company that specializes in assisting families with Continuing Care claims and they questioned the allocated scores given by the care home and after much deliberation I passed my case to them to follow up on our behalf. I asked the Care Home if they would supply this Company with what they would need to act on my behalf, and, although they threatened that she would have to leave the home in the unlikely event that she was successful, they agreed to send ward notes for analysis. A month or two later, unbeknown to me or the Company I had hired to represent me the care home sent their original assessment to the CCG. Five months later I received the letter from CCG saying she did not meet the criteria. CCG now aware of my situation, is very sympathetic and suggested we ask the care home to complete another assessment, as they have a huge waiting list. The care home has refused saying that nothing has changed. CCG has agreed to carry one out, but because of the waiting list this will not be for a further three months. I was not invited to the first assessment and I wanted to accompany the second assessment with an advocate from the Company that represents me. This assessment will hopefully produce the score that we believe best represents my stepmothers condition. It seems that the actions of the care home were calculated for their own agenda and I am helpless to seek what I believe is her entitlement. 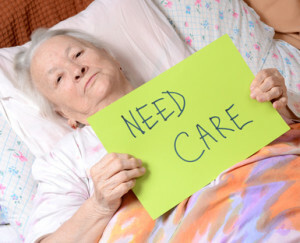 I am reluctant to move her, she is 92, but I am concerned that her best interests are not being acknowledged, that she has complex health needs, and that this would apply to other residents in the care of this home. Jill – the care home is wrong to tell you your stepmother will not meet the eligibility criteria for Continuing Healthcare. No one can know that until the assessment process is carried out. Their argument of ‘too time consuming’ doesn’t hold up either, as it is the NHS, with involvement from the local authority, that carried out the assessment process. The care home should be involved in providing evidence, though. If the care home carried out an ‘assessment’ (whatever they are calling an assessment – was it a Checklist?) unilaterally, it’s questionable. You may want to consider getting the process started again. Interesting to read the Healthcare defenition. The difficulty we experienced is that even if you get to the CHC checklist assessment (i.e. precursor to a full CHC), the bar is set so high as to render the process meaningless for most people. On Rosie’s point, Mum has ended up with FNC, which benefits the nursing home not her. As I understand it, FNC is paid if somebody is a self-funder but has certain nursing needs that “justifies” this supplement. Funded Nursing Care (FNC) is paid directly to nursing homes if a person has some nursing needs but is found ineligible for full Continuing Healthcare (CHC). Check the care home contract though; if it quotes the care fees as inclusive of the FNC payment, the the care home should reduce your mum’s fees by that amount. Can anyone answer this question? Where is the dividing line between an NHS care need due to health issues, and a ‘social’ need? My mother is 90 years old, virtually blind, and completely immobile. She needs assistance with every aspect of day-to-day living, including getting in & out of bed, dressing, going to the toilet, having meals prepared, and taking her various medicines. If she could see and if she could walk she might not need care. She currently resides in an ‘extra care’ home, where she has her own flat and carers are on-site 24/7, but she cannot use the bathroom without help from a carer, and the kitchen is used only by the carers or my wife and me when preparing mum’s meals. So, the question is – is my mother’s care required as a result of her poor health (blind, immobile), or as a result of her social needs (cannot get out, has poor social interaction, cannot shop for herself, etc.). The NHS assessment she had prior to going to the extra-care home indicted that her needs were primarily due to ‘social’ needs, and not health, but how do you differentiate between the two? I am no expert Andrew but would comment as follows. Mum (90) was extremely active until she fractured her hip. This was not diagnosed, she collapsed, was taken to hospital and whilst awaiting diagnosis she had a moderate stroke. Notwithstanding that she had just had a stroke they operated two days later (this now seems contradictory to normal practice) and she had a massive stroke that destroyed her life. Athough in my terms this was a medical accident, the powers to be refused CHC. We fought this (nightmare) and eventually got a preliminary assessment where they go through a checklist under various headings and score the person. Largely we agreed with the assigned scores and Mum failed to get CHC (this is what I mean about the bar being set so high). I would have thought that if you can push and push and get to the preliminary assessment at least then you are arguing about the severity of a particular area (say cognitive ability) which seems a step forward. I am sure others can offer a more knowledge-based response but I suffered from the same confusion myself so felt I had to respond. I should stress that we really had to fight to even get this preliminary assessment as the whole system is geared to not paying. Simon. Are her needs Complex and/or Intense and /or Complex and/or unpredictable? Is there a need for continuity of care……. Is the ‘nursing’ care required, beyond that which a social services department could legally provide? To establish that: Is the ‘nursing’ care (total care), provided incidental or ancillary to the need for accommodation (other than their own home) in which to provide the ‘nursing’ care? If you can answer these questions and then convince the authorities (probably after several appeals), then you will gain NHS CHC funding for perhaps three months until the first review and then for around a year until the next assessment. Great, clear article as usual. We’re hearing a lot locally about shared care awards with the LA and NHS, which I know you’ve covered before. We’re also hearing that if full CHC is awarded then CCG has various “bands” within which it pays care homes eg Rehabilitation, Respite, initial 3 months, terminal etc etc most of which result in Top Up fees being requested. Is this lawful please? Thanks, I’ll use this information. It’s another example of care homes being told by NHS and LAs that “We’ve always done it this way”. Very few Care home managers, GPs and Social workers seem to have any first hand , accurate knowledge about CHC and the National Framework. I’ve noticed the “muddle” always operates in their favour!! Please can you clarify where the FNC element comes in as I was told that is to recognise the primary health needs when the four domains of Nature, Complexity, Unpredictability and Intensity are not high enough?